School districts in Tennessee, Missouri, South Carolina and other states have canceled class Aug. 21, owing to a total eclipse of the sun expected on that date across a wide swath of the United States. In Knoxville, TN, Superintendent Bob Thomas announced Friday that schools will close for the eclipse and students may watch wherever they want, according to the Associated Press and the Knoxville News Sentinel. In Knoxville, the eclipse will occur at about 2:30 p.m. While children won’t be in class for the event, the eclipse is still considered “‘a really big deal’ in science classrooms across the country,” Shannon Jackson, director of curriculum and instruction for the Knox County Schools system, told the News Sentinel. The school district is sending every family a packet of information about the eclipse, according to AP, and all students will receive solar viewing glasses with designs created by two Knox County students, the News Sentinel reported. The school board in St. Clair, MO voted unanimously to shut down school Aug. 21, citing safety concerns, traffic and parking. According to emissourian.com, the Department of Homeland Security estimates that the population in St. Clair will triple in size during the week of Aug. 18-21 for watching the eclipse. Daylight is expected to be completely obscured during the eclipse there, with a period of darkness and a significant drop in temperature. “This has been publicized nationwide that St. Clair is the epicenter for the longest period or the longest duration of the eclipse,” Police Chief Bill Hammack told emissourian.com. In Beaufort County, SC, 98 percent of the sun will be obscured, according to The Beaufort Gazette. Students will have Aug. 21 off, but they will have to go back to school early — Thursday, Aug. 17 — to start the 2017-18 school year, the Gazette reported. Beaufort County teachers are preparing eclipse-related lesson plans to be implemented during the first two days of school, the Gazette said. The district has also ordered safe, eclipse-viewing glasses for students. 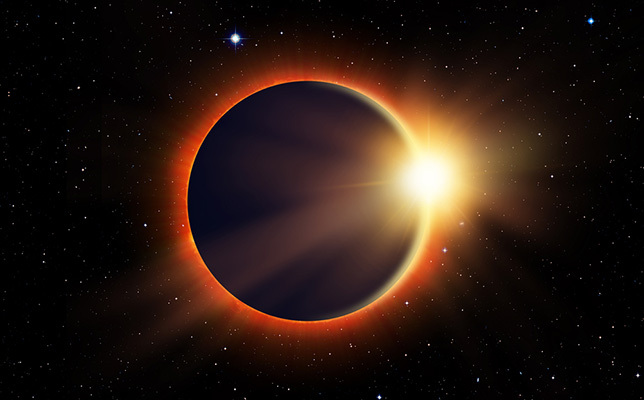 To learn more about the upcoming solar eclipse, visit this article in THE Journal or visit this site.